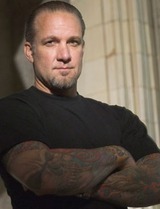 Jesse James, TV personality and CEO of West Coast Choppers. He’s known for his slick motorcycles, crazy reality TV antics and the female company that he keeps. 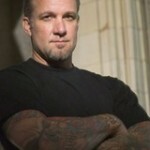 James got his work start as a bouncer and bodyguard for punk rocker Glen Danzig. 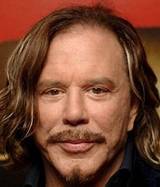 Mickey Rourke, actor, this award-winning star is famous for the gritty characters he’s portrayed on the big screen. Rourke worked a variety of odd jobs including movie theater usher, pretzel seller and bouncer. Do you have difficulty finding shirts that fit your arms and neck? Can you stand in the same place for long periods of time? Like to chew plastic drink straws? Then maybe you should consider becoming a bouncer. 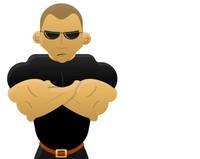 Maintaining safety among patrons at nightclubs and events, crowd control, property protection, compliance with applicable laws and often eviction of violators from premises are what being a bouncer is all about. A high school diploma or equivalency degree is generally required, certification in first aid and CPR is often considered a must and prior experience with the military or law enforcement is considered helpful. Salaries range from $14,000 to $28,000 annually. Not bad for a night out. More Jobsciptions, click here. Vin Diesel, actor, he may be best known as a movie tough guy, but he’s also in touch with his humorous side. As a teen, Diesel performed in a break-dancing instructional video and worked as a bouncer in New York for nine years.